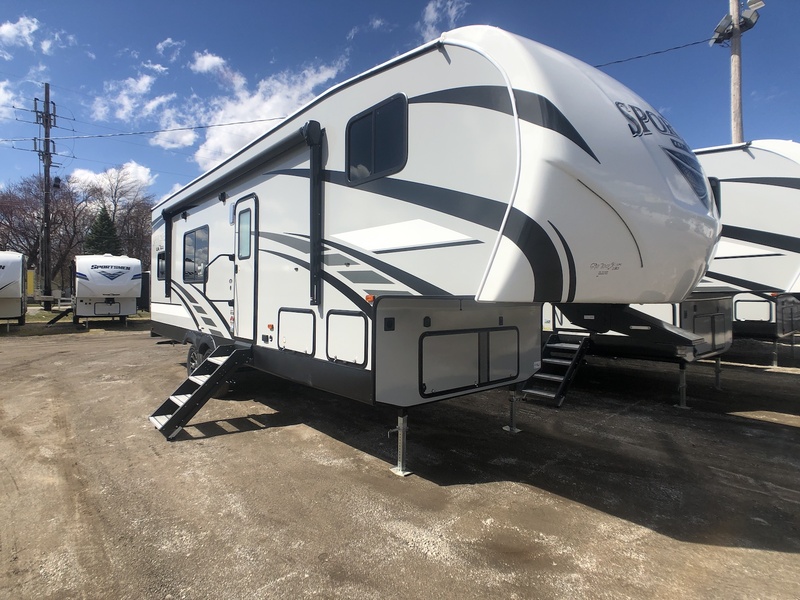 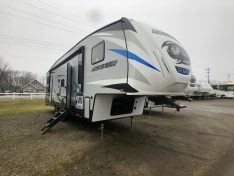 The New KZ Sportsmen Sportster 280TH Fifth wheel toy hauler offers excellent options for loading up your toys and having the comforts of home. 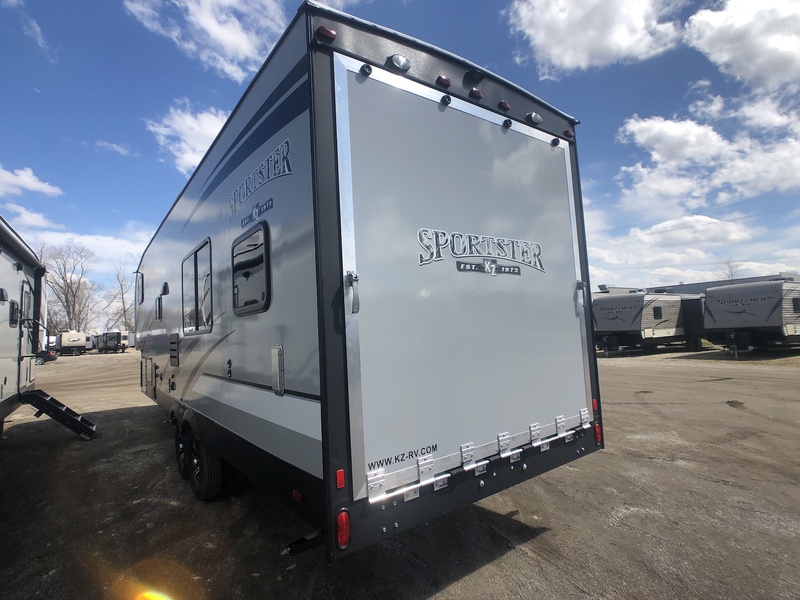 When you enter the Sportster 280TH to your left, you will see the living / cargo area. 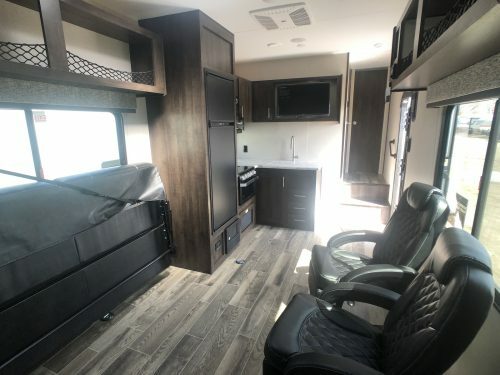 There are two free-standing recliners, across from them is a jiffy sofa for extra sleeping and sitting. 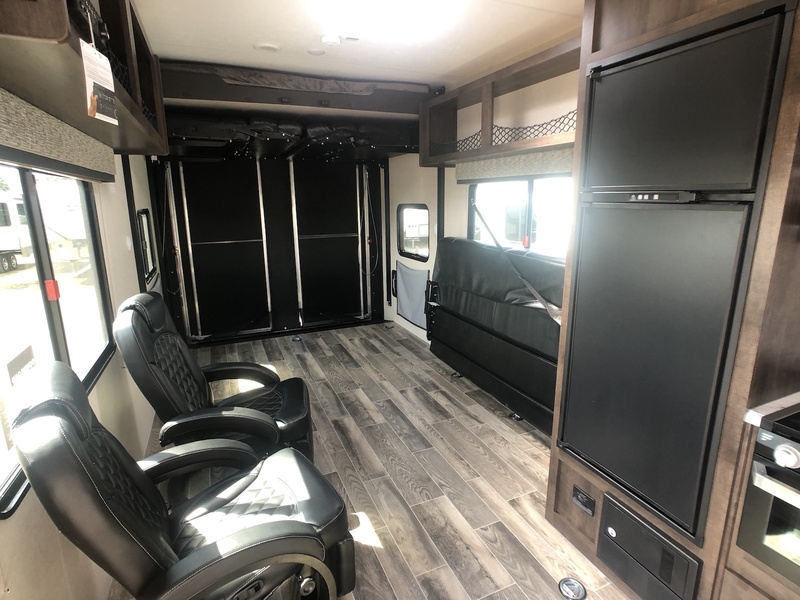 The 280TH is also equipped with a power Bed with sit and sleep, pull down screen wall and a rear patio system. 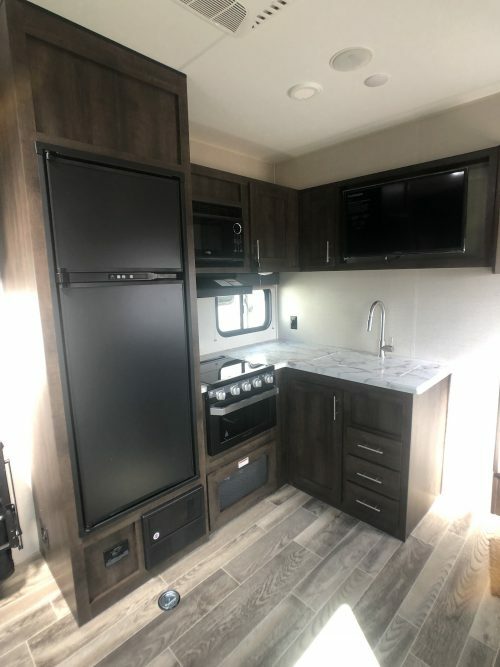 The Kitchen in the 280TH offers a full-size RV Refrigerator, three burner cook top and plenty of prep space. 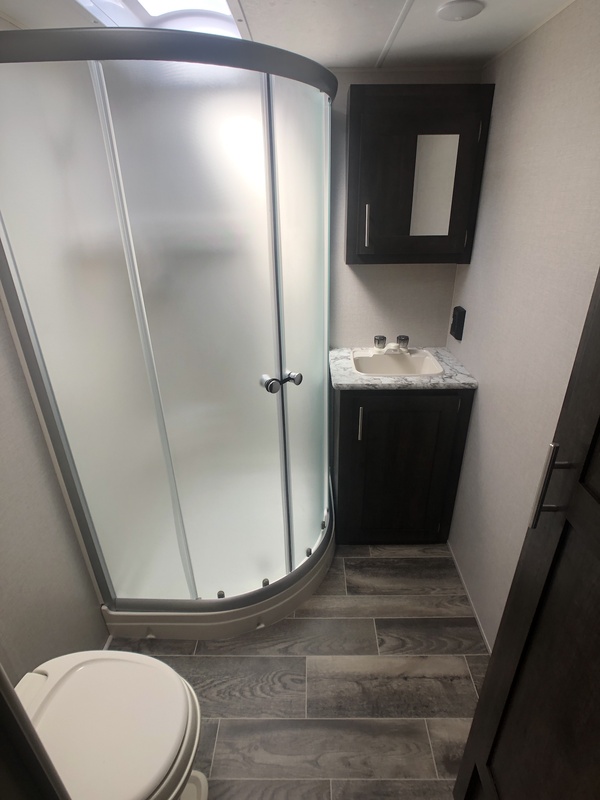 Up the steps to your left are the full bathroom with a glass corner shower, foot flush toilet, and sink. 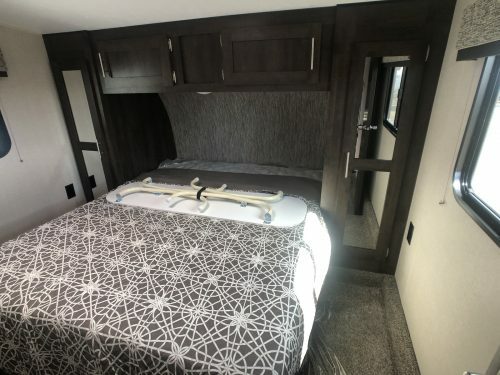 The Master Bedroom offers a front queen walk around bed with wardrobe space and under bed storage. 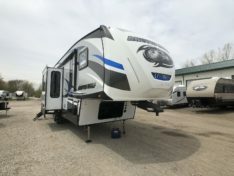 On the Outside of the KZ Sportsmen Sportster, you will notice the full-size power awning with LED lights, stable entry steps and great front pass-thru Storage.